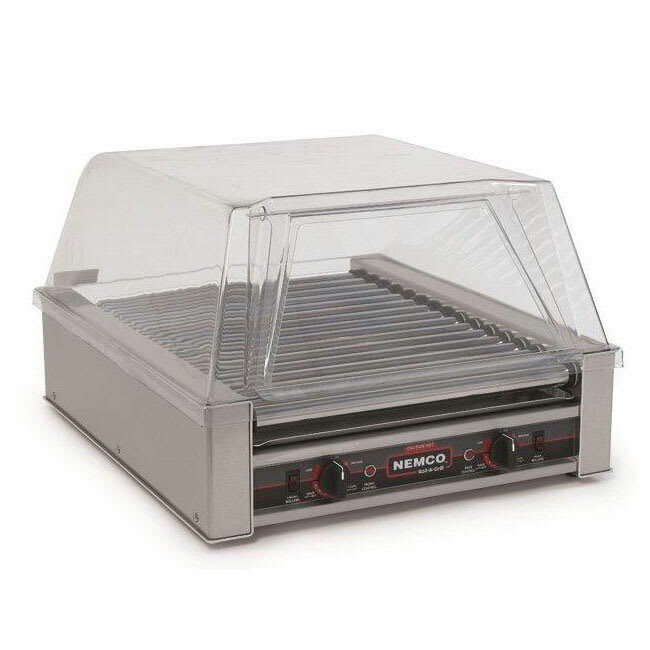 The Nemco hot dog roller with a flat top offers a removable drip pan for easy cleaning. 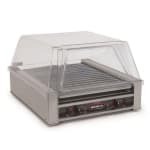 This hot dog roller grill requires no ventilation system promoting energy efficiency. With seven heat settings, you can customize the temperature, allowing the appropriate heat for your product.